Over the past decades, SCETI has developed an extensive network in the Japanese Medical Research community. It includes research centers, clinical laboratories, universities, clinics and pharmaceutical companies. The company imports and markets within this segment a wide range of reagents including testing diagnostics, research compounds and antibodies. 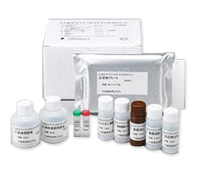 Besides, SCETI is a market pioneer within PET-SPECT segment promoting precursors and FDG reagents kits among medical and molecular imaging society. Lately, benefiting from its solid network with Japanese pharmaceutical and diagnostics companies, SCETI has been expanding its activities overseas. Through its ‘Bioscience Export Service’ set-up, the company is exporting around the globe, via local distributors, a large portfolio of immunoassays, antibodies & reagents.